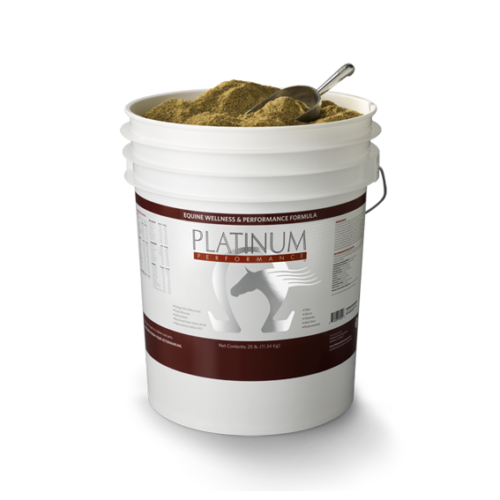 Joint Support Formula with Hyaluronic Acid for Horses in Competition. 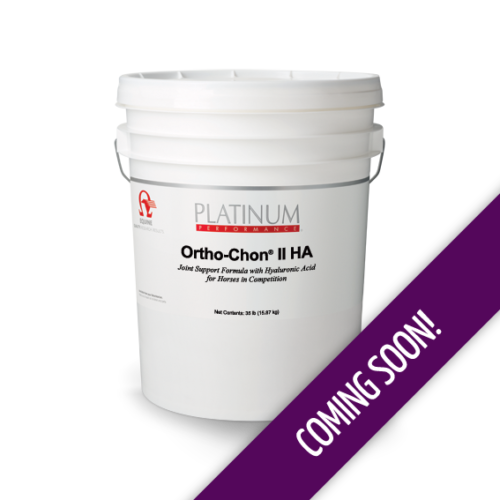 Ortho-Chon® II HA is a joint formula recommended for horses in competition. 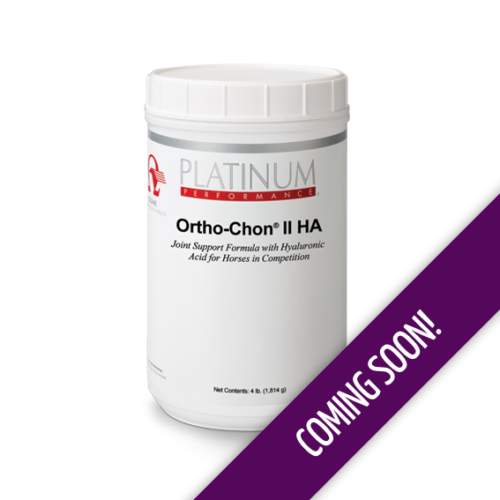 Ortho-Chon® II HA supports healthy joints and also helps maintain the synovial fluid that lubricates the joints. 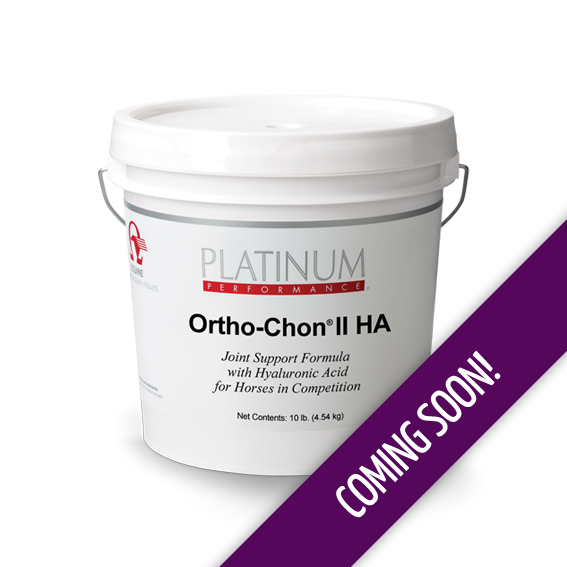 Ortho-Chon® II HA is a joint formula recommended for horses in competition. 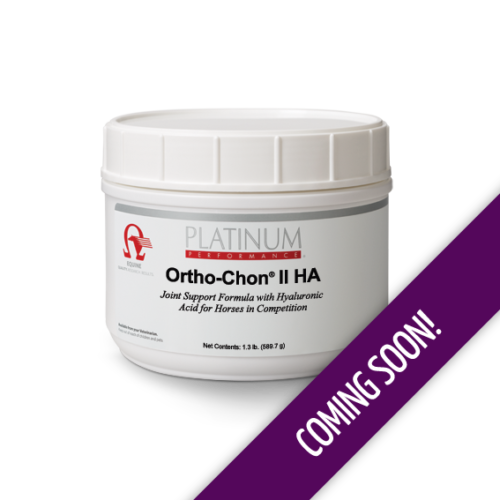 Ortho-Chon® II HA supports healthy joints and also helps maintain the synovial fluid that lubricates the joints. Ortho-Chon® II HA contains hyaluronic acid, as well as cetyl myristoleate, boswellia serrata, and vitamin C. Like Ortho-Chon® II, Ortho-Chon® II HA does not include devil’s claw or cat’s claw and is in full compliance for horses in competition. Administer 1 level scoop (10,700mg) twice daily or as recommended by your veterinarian. Servings based on an average horse weight of 1000 lbs.